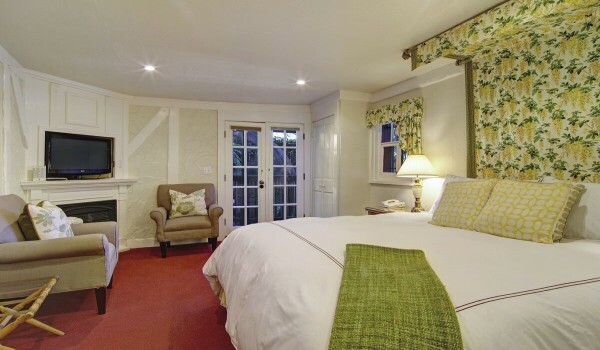 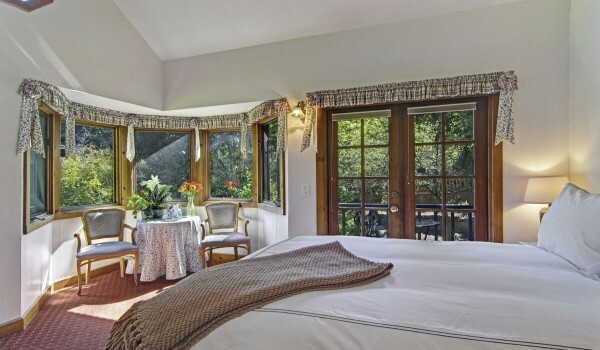 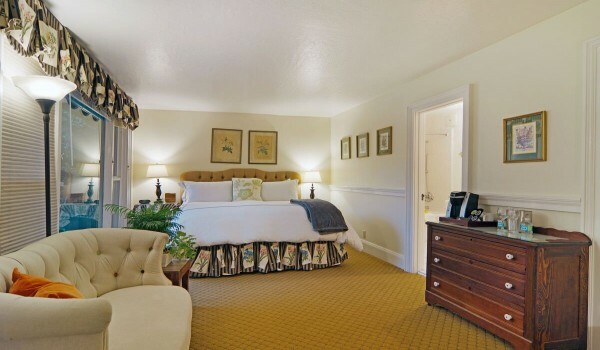 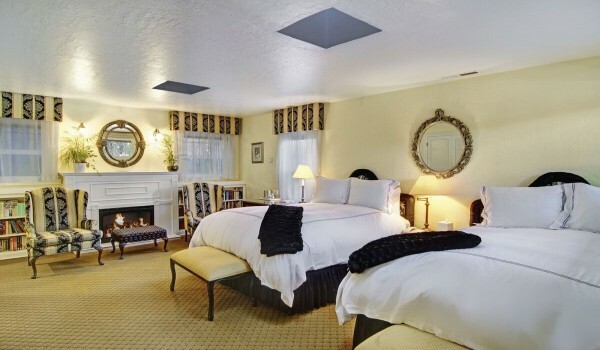 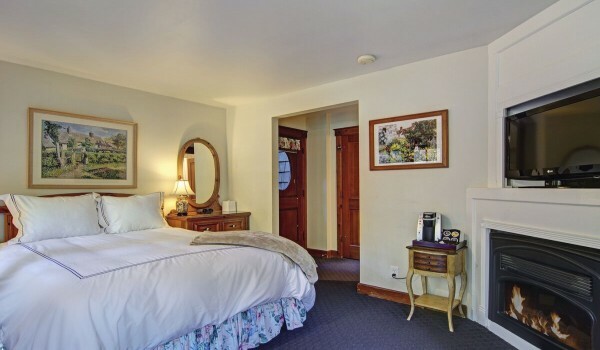 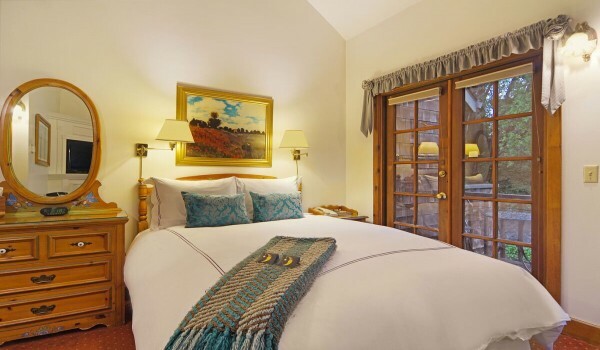 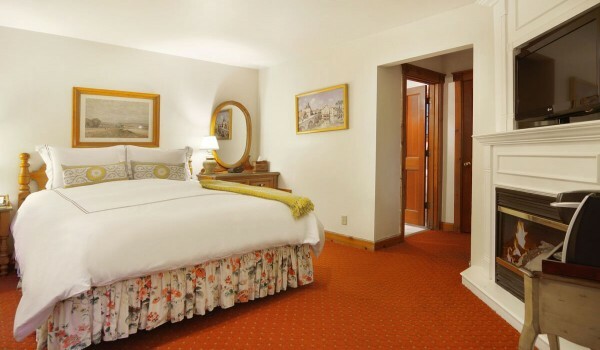 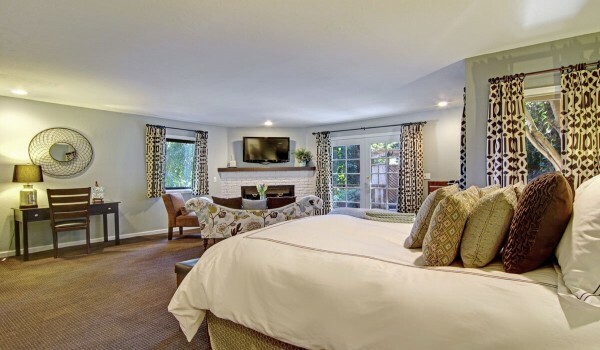 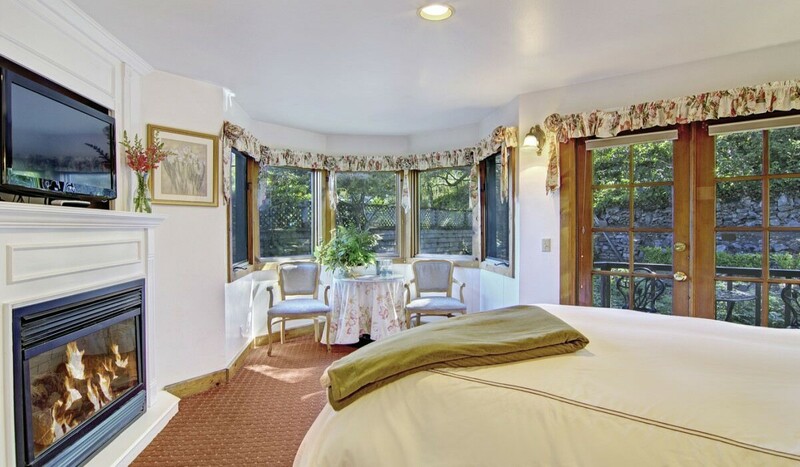 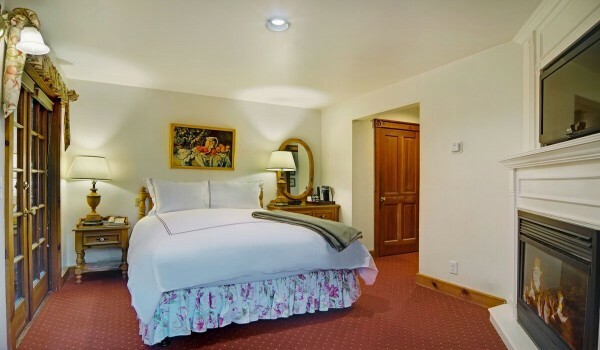 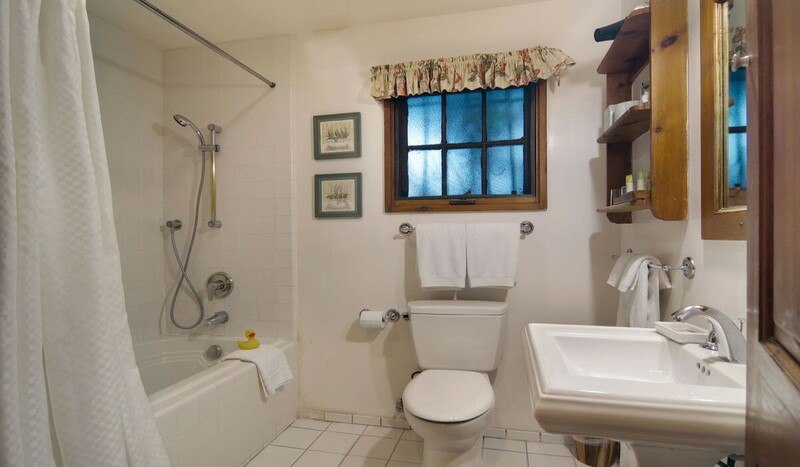 Cezanne is our accessible room at the Babbling Brook Inn. 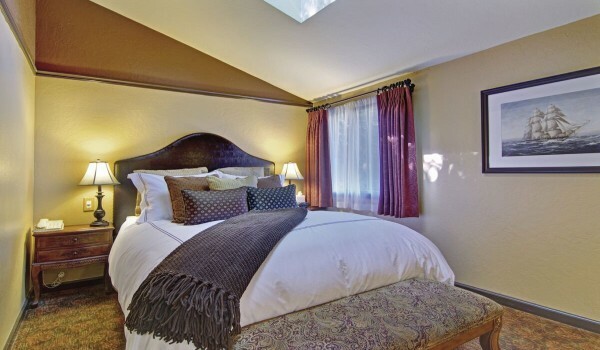 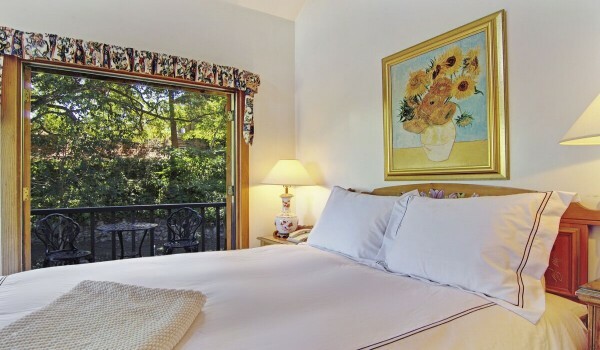 This charming room features a queen size feather bed, corner gas fireplace, accented with the works of Cezanne, and a private bathroom equipped with a roll-in shower. 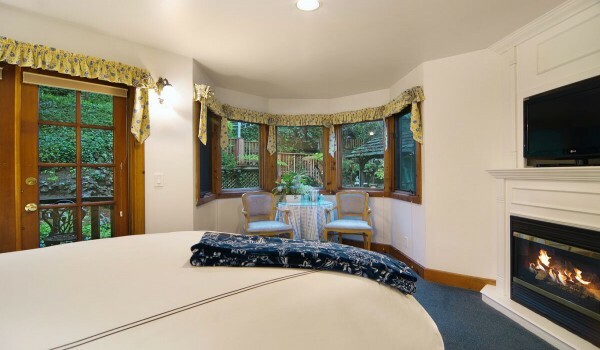 Curl up with a good book beside a roaring fire or enjoy the lush garden setting on the private deck looking out onto the brook and garden gazebo. 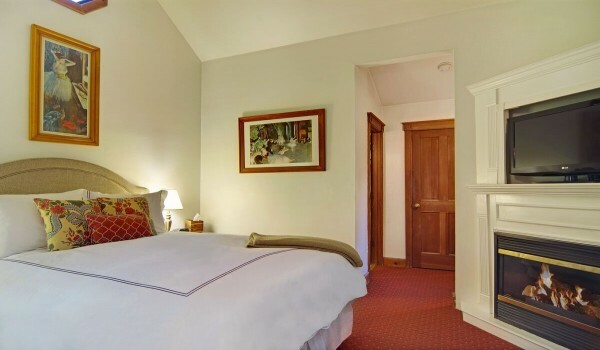 This room is easily accessible from street level and has unobstructed access to the parking area.